[Blind Gossip] This actress has always been beautiful, but once she turned 40, she started messing with her face. She felt like her jawline was getting slack, so she had a lower face lift. It looks OK except for the fact that the sides of her mouth were pulled up a little too much. It makes her look a little like The Joker even when she’s not smiling! [Optional] How does she look? 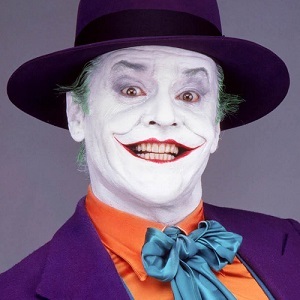 Ok, there’s so many actresses who look like the Joker, too hard to pick just one. I’ll say Courtney Cox looks weird only because I just saw her on t.v. I know they have surgery to look younger, but I think it makes most of them look older, or just weird. I love her and really hope it isn’t her, but I can’t find a recent picture where she isn’t smiling. I think she’s had cheek implants tho. She’s still pretty. I can’t pick just one!!! I have never thought her particularly attractive. This. Started “messing” with her face. I feel awful that I wrote this. It’s mean and she is far more attractive than I am. Please disregard. Hunkydory that’s sweet of you, you’re a good person! So can I, that’s why she was my guess, lol. I used to think she was so pretty. The last round of award’s season she looked a bit “off”. Looks ok, but in time won’t. Never touch your face, except maybe subtlely around the eyes. People need to learn that. Or maybe Nicole Kidman. Or both. I would have guessed Tori Spelling, except that she’s never been beautiful. She definitely has the joker smile going on and some really awful plastic surgery. Famke? I can’t remember her last name. Could be Meg Ryan or Melanie Griffith and their “clown lips”. Probably Megf Ryan. I absolutely loved her in movies. Hey, John Mellencamp (her husband) likes it. She looks ok. Better than some people who’ve had plastic surgery, worse than others. I don’t know, college cheater Felicity Huffman? Nicole Kidman she was also in Batman. Recent pictures show a very obvious facelift and ‘joker’ smile. I thought it was just the particular photo, but the right side is way more turned up than the left. Optional: Zeta Jones looks every one of her”49″ years. Nicole looks pretty good still but she sometimes gets too much Botox in her cheeks, making he look like a chipmonk. That could be a whole lot of actresses out there. I’m going to guess Charlize. Fine now, but quit while you’re ahead. I didn’t recognize her, but she looks good.